The Fairfield Bay Yacht Club is growing. We Now Have 100 members!! Our next event for the Fairfield Bay Yacht Club will be “The Blessing of the Fleet.” Mark your calendars for Saturday, April 23, 2016 at 3 p.m. We will set sail at 3:30 p.m. towards Sugarloaf for the Blessing by Rev. Bob Hadley. If you do not have a boat/pontoon, there will numerous pontoons to jump into!!! After the Blessing, we will all head to Kentucky Point for a tie-up. The point is close to Sugarloaf Marina. Bring an appetizer/finger food, cookies, bars, etc to pass and BYOB!!!! The Fairfield Bay Yacht Club will provide plates, napkins, and utensils. We have a few non-boat owners. Please let me know if you will take some Club Members with you or if you are in need of a ride. We already have one pontoon ready to take passengers!! Make sure to visit us on our website and facebook page. 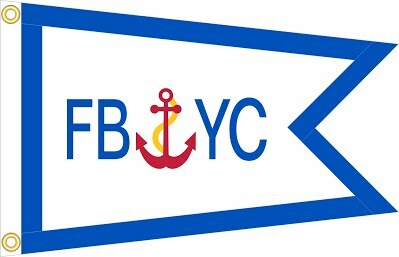 Just type in Fairfield Bay Yacht Club and you should be able to find it. We are in need of a Vice Commodore: Please let us know if you are interested. Dan, Tim, Richard and I (Board Members) are working the May event; Scavenger Hunt is set for Saturday, May 14, 2016 at 2 p.m. We are planning on a brisket dinner at the Marina at 5! Everyone BYOB and dish to pass. Yacht Club will furnish Brisket/Buns.